Introduction to Systems Engineering training course introduces you to systems engineering with the focus of lifecycle and processes. We intend to show you the advantages of using systems engineering techniques as a tool of developing quality systems. Introduction to Systems Engineering training course covers technical exercises such as modeling, prototyping, trade-off analysis and testing, and management practices including (but not limited to) risk analysis and mitigation, which builds “best practices” in the field of systems engineering. This hands-on training is specifically concentrated on project lifecycle planning, lifecycle technical and management processes, and relation to the principles of systems thinking. 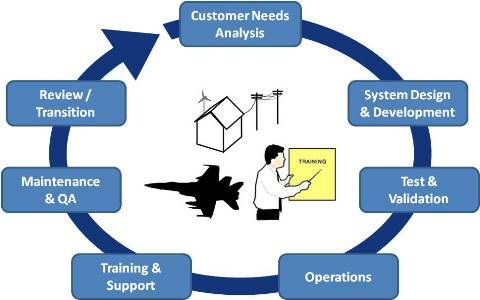 TONEX Introduction to Systems Engineering training course is a combination of theory and practice. Through a fun, interactive presentation, you will learn all the principals, concepts, theories, and logics that the systems engineering is founded on. Then, you will learn about the methods and techniques associated with this field. Once you received sufficient information, you will get to practice them in the hands-on section. We encourage our students to bring in their own project sample to work on in the class, however, they can also use the real-life projects provided by our instructors. This section of the class include labs, individual/group activities, and hands-on workshops. All the individuals who are interested in learning systems engineering, in particular lifecycle and processes. Determine where to find suitable standards for developing projects.